A recent market report from Frost & Sullivan found that incentives to implement sustainable manufacturing practices resulted in impetus to market growth for hazardous waste management. Communication and semiconductor technologies such as global positioning systems (GPS) and radio frequency identification (RFID) are opening up vast revenue opportunities in the hazardous waste management services market in Europe. For instance, routing software is improving cost controls, enabling industry players to adopt an aggressive pricing strategy that is creating a more competitive market. European Hazardous Waste Management Services Market is part of Frost & Sullivan’s Environment & Water Growth Partnership Subscription. The study segments the treatment methods into recycling, thermal treatment, other hazardous waste treatment, and landfill. 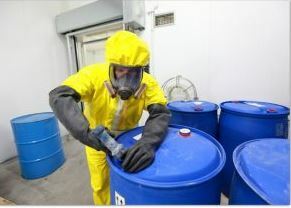 It highlights the latest trends, drivers and restraints that are influencing the market, while detailing the current amount of hazardous waste generated, collected and treated in all European countries. Related topics covered by the subscription include water and wastewater management, environmental services, water value chain, smart water meter and residential water softener solutions.